A sharp fall in Infosys shares has wiped out Rs 34,000 crore of investors' wealth in just two days. Market regulator Sebi is keeping a close watch on Infosys share prices after a surge in volatility, Sebi Chairman Ajay Tyagi said on Tuesday. Infosys shares have corrected sharply - nearly 15 per cent - in two sessions after Vishal Sikka on Friday abruptly resigned as the company's CEO and MD. This sharp fall in Infosys share prices wiped out Rs. 34,000 crore of investors' wealth in just two days. "We are keeping a watch on Infosys share prices," he told news agency Press Trust of India. “This is a proactive step that SEBI has taken. Usually when high volatility is witnessed in certain stocks, this is done. As of now it appears to be a routine investigation. This can be termed as SEBI's routine surveillance mechanism. SEBI will definitely monitor the case in US against Infosys' managers. We will wait and watch before taking the next step,” a source in SEBI told NDTV. The Sebi official, however, refused to share more details right now. In a damage control mode, Infosys Co-Chairman Ravi Venkatesan on Tuesday met Finance Minister Arun Jaitley, sources told NDTV. Mr Venkatesan assured him that the company management will ensure high standards of corporate governance. With Dr Sikka's exit, hopes of a turnaround at the company are seen to have been pushed back and many brokerages including Nomura have downgraded Infosys shares and slashed their target price on the stock. Infosys' Rs. 13,000-crore share buyback announced on Saturday failed to cheer investors amid uncertainty around the appointment of a new CEO. According to global brokerage Nomura, a new CEO's appointment is likely to take time. "Management churn at INFO (Infosys) would make clients cautious and competitors more aggressive," the brokerage added. Nomura has downgraded Infosys to "reduce" from "neutral" and slashed its target price on the stock to Rs. 875 from Rs. 1,000 earlier. 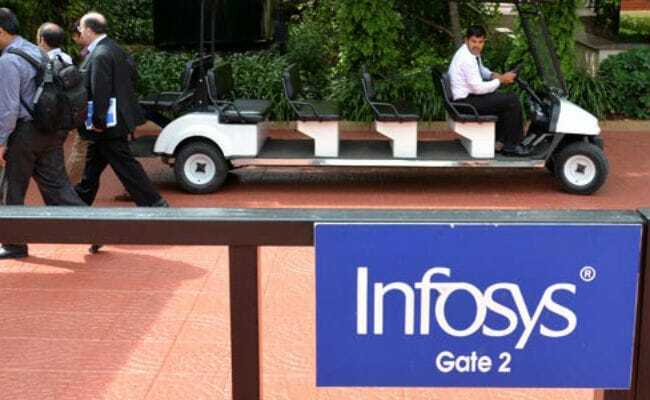 Infosys' search for a new CEO may not be an easy one as the pressure of being under the scrutiny of the firm's founders, who have alleged corporate governance issues, could see many candidates shying away, said experts. Meanwhile, four US law firms have said they are investigating potential claims on behalf of Infosys investors on whether the IT major and some of its officials and directors have violated federal securities laws. One of the US law firms, Rosen Law Firm, said in a statement that it is investigating "potential securities claims" on behalf of Infosys shareholders resulting from allegations that the firm may have issued materially misleading business information to the investing public. It added that it is "preparing a class action lawsuit to recover losses suffered by Infosys investors". The equity shares of Infosys are listed on BSE and NSE in India, while its American Depositary Receipts (ADRs) are listed on the New York Stock Exchange (NYSE). Infosys shares showed a mild recovery today and closed 0.41 per cent higher at Rs.877.15 on BSE.